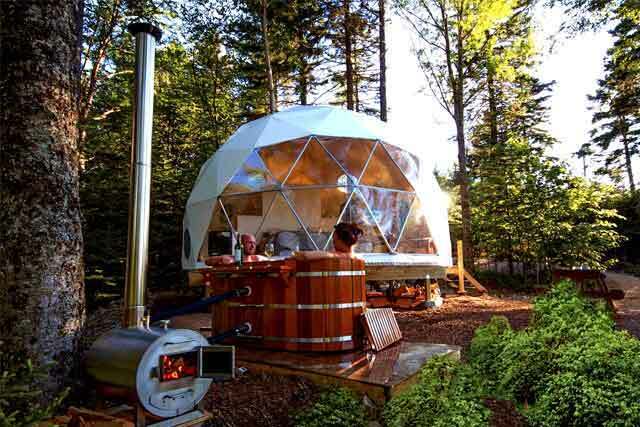 Nature Smart ZenDome tent shelters for Eco-adventure camps are going global, riding the wave of growing popularity in Eco-Hospitality Glamping Resorts (glamorous camping). 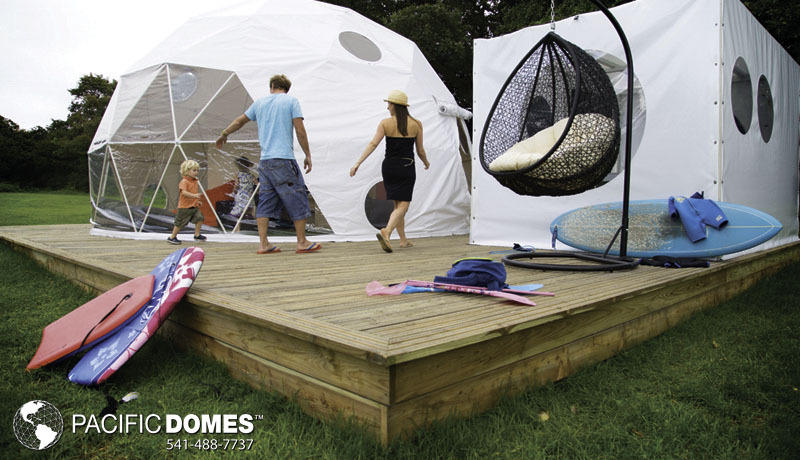 Eco-adventure camps are getting a ‘chic’ makeover with portable geo-engineered ZenDome tent shelter kits for sale or rent by Pacific Domes of Oregon. 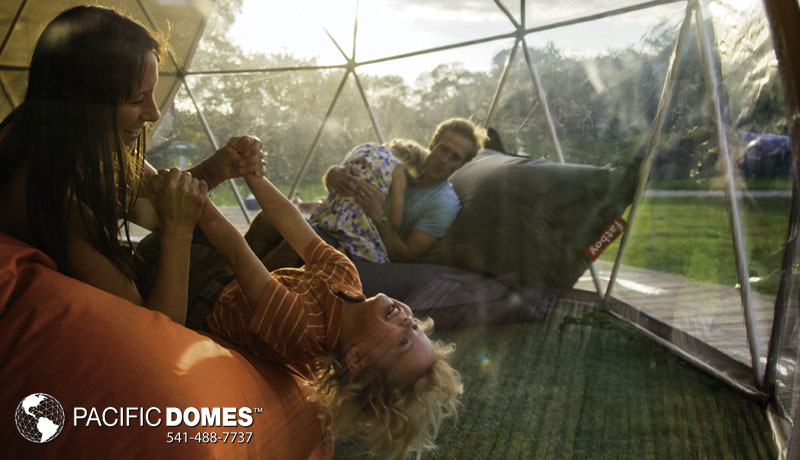 Nature Smart ZenDomes make it possible for both young and old to experience the ‘joy of camping in the great outdoors’ without ‘roughing it’ or sacrificing those cozy creature comforts. Setting the trend towards responsible eco-tourism, ZenDome tent shelters for Eco-adventure camps allow access to off-the beaten-path glamping areas, inviting the entire family or kindred spirits to take a break from ‘technology overload’ and enjoy the awesome wonders of Mother Nature.